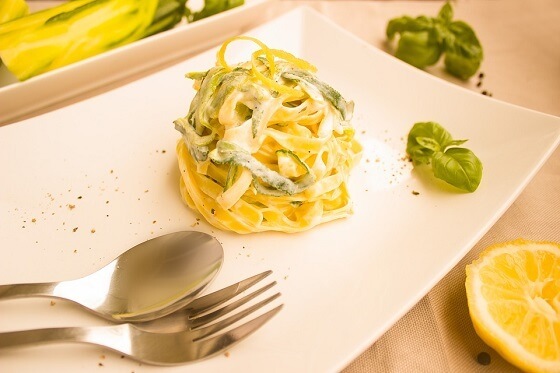 Pasta al Limone - Pittsburgh Catering Authority - The Catering Experts in Pennsylvania! Many classic Italian dishes contain a few ingredients, but when cooked properly they are perfect. This dish is no different. Much like its Roman counterpart, cacio e Pepe, it is made with a few ingredients, namely pasta, pasta water, lemon, and parmesan. The water is used to help melt the parmesan and make a bit of a sauce without gumming it up. When then tossed with the pasta, it is light and cheesy but has that nice bit of lemon at the end. Lemon zest perks up this classic dish and so does juice. You will melt butter on medium heat in a large skillet until it starts foaming. You are going to need five tablespoons of unsalted butter for this recipe.